Please complete the form below and your enquiry will be sent directly to Chadoka Art & Bicycles via email. Your enquiry has been sent to Chadoka Art & Bicycles. The walls of Chadoka Art & Bicycles are adorned with canvasses created using various mediums and a whole lot of colour. Artworks by Takura Chadoka showcase a unique style that can only ever be captured by an artist who has lived and loved under a beautiful African sky. 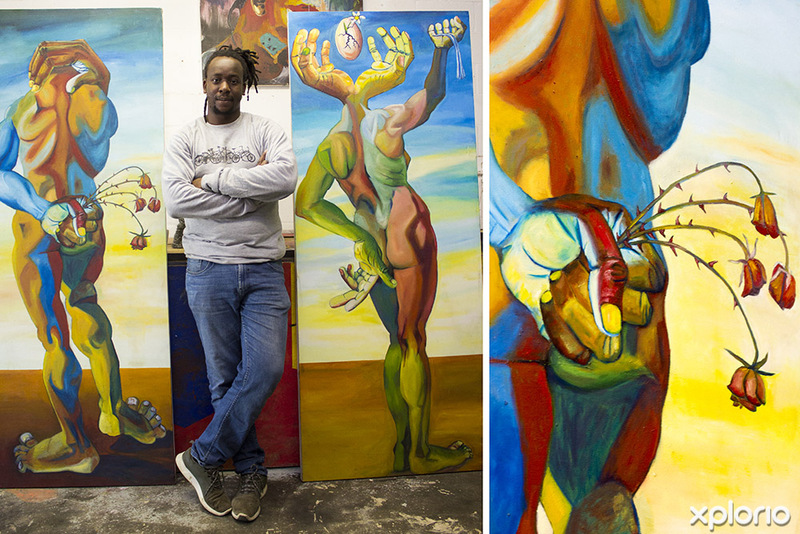 Takura invites you to pop into his studio so that you can meet him and watch him create in person.